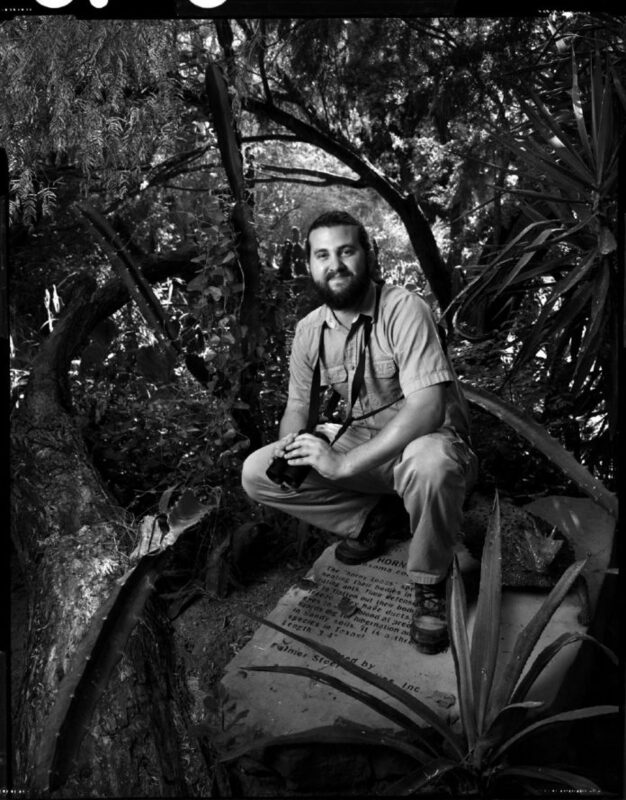 John Brush is an Urban Ecologist for Quinta Mazatlan in McAllen. Part of his duties include working for the Center for Urban Ecology, which collaborates with the University of Texas Rio Grande Valley to provide research and meaningful solutions in the fight to conserve the wildlife and ecosystem in the Rio Grande Valley, which is increasingly urbanizing. John Brush lifted his binoculars to his eyes to gain a better view of a Thrasher he spotted. Immediately he knew the bird was born within the last year. Brush was not going to let some novice bird watcher take his word for it. He quickly switched from his binoculars to his camera to snap a shot. The digital image displayed the Thrasher with yellow-colored eyes. Brush explained that the bird is born with gray-colored eyes that will slowly turn orange during its first year of life. Yellow is among the last stages before the eyes are completely orange, he said. Sometimes Brush, 28, said he surprises himself by his knowledge of birds. He, like many avid bird watchers, can identify birds by their unique traits or the sounds they make. Brush began bird watching when he was young, learning from his father, Timothy Brush, who is a professor in the biology department at the University of Texas Rio Grande Valley with a Ph.D in zoology. The younger Brush has both a bachelor’s and master’s in biology and leads bird walks every Saturday at Quinta Mazatlan, where he started as a part-timer in the summer of 2008. His responsibilities consists of managing the habitat of the grounds, including the removal of invasive plants, develop educational programs and community outreach. Perhaps his most important responsibility is managing the Center for Urban Ecology, or CUE. Rio Grande Valley lawmakers secured $5 million for the center during 2017’s legislative session. The CUE’s headquarters is expected to be built at Quinta Mazatlan. The center, already in operation, collaborates with UTRGV to provide research and meaningful solutions in the fight to conserve the wildlife and ecosystem in the Valley, which is increasingly urbanizing. “We want the research to turn into actions that people can take to help them embrace their well being,” Brush said. Urban areas are prone to flooding similar to what the Rio Grande Valley experienced this week. Brush said one thing the CUE might do to combat flooding is to work with a UTRGV professor of hydrology and with local cities to find ways to mitigate flooding. “One way to do that is to plant specific trees that have a greater canopy,” Brush said. “And that canopy can stop the water from falling so rapidly onto the ground, it lessons that flooding impact. Brush also expects water conservation to be a bigger deal in the future as the Valley continues to grow. The CUE also promotes planting native plants and trees, which don’t require a lot of water. Scientific studies have shown that native plants support more insects, Brush said. The center also plays an important part in promoting the region’s natural habitat. The U.S. Geological Survey estimates that the Valley’s natural habitat makes up only 10 percent or less of the area, which is challenging for deep South Texas’ wildlife. More than 500 birds species have been spotted in the Valley, which is approximately half of all species in the United States. Many of these birds prefer the thorn forests of the Valley, making such nature sites as the Santa Ana Wildlife Refuge and Bentsen Park important to the area, Brush said. Through the CUE, Brush promotes something he began to appreciate as a child, enjoying the region’s nature with his family.